I am posting a video which has been circulating on Facebook the past week. It is a tribute to Jay with a little message at the end and is very poetically written in Chinese. I have tried to translate it as best as I can and hope you guys will understand and appreciate. You accompanied me as I grew up. I'll accompany you as you get older. "You would not know how long those fans will listen to your songs. But I will still carry on singing. Like at times when you feel stressed out and think about Simple Love, I would be very happy. It is not necessary that you have to like my new songs. Fans will come and go; if you have ever listened to my music, I'm already very grateful. As long as there is one fan who wants to hear me sing, I will go on doing so. My era will not pass on." He has accompanied many people through their joys and sorrows. His devil-may-care attitude, those long fingers on the piano keys, with every note engaging our senses. That curly-haired big boy who wore a baseball cap who has now matured into a successful man. He has learned to play cat-and-mouse with the press; he can perform magic for the media. He has learnt to protect himself as well as his companions. He is no longer that boy-next-door of the early years. You could say he has left an indelible mark on my life as I was growing up. I frequently could not sing his perfect yet complicated songs properly at KTV and I finally understood how his unique style would shut up all the naysayers who felt he could only be a behind-the-scenes songwriter and not a singer. He once said: "I am not a musician nor a doctor. But I can make the music come alive." I laughed when I heard that, because very few singers have even half his degree of self-confidence, which in his case is totally justified. He can now wear the most fancy costumes and perform on stage watched by huge crowds..
His simplest love ballads can transport the entire audience to the most emotional high. And he can help make his friends' dreams come true. It is not known when he decided to help NQMM but the fact is, he did and succeeded. He invested his own money and effort and enabled them to release their first album; directed their first MV. He would always have them as guests at his concerts to let his fans appreciate and love how dedicated to music they were. As long as he had the means, he would involve them in his MVs, movies, albums and songs. Whether it be his wholehearted accompaniment on the piano, or his engaging melodies or evocative lyrics, and his distinctive singing style, his signature rapping or his Chinese-style songs. Some have asked what's so great about his mumbling style of singing but that is precisely what is great. Time flies but Jay Chou remains unchanged. "No matter the time or place in future, I hope my fans will look back and see the same Jay Chou as before." There are some people whom one will never be able to understand no matter how lengthy the explanation. And there are those for whom no explanation is required. Jay Chou is the latter. I look at that face which I have loved for more than ten years, familiar yet strange. I have always thought of myself as not being a fickle-minded person and believe in loving one person for the long haul. Many of his fans have loved him for more than ten years. There are those who quietly watch him from afar or at his concerts. He was once asked which of his features he was most happy with. He said: "My nose, as it looks most like my mother's." He said: "My eyes because they are rather small but then again, so are my mother's so it doesn't really matter. We're Asian, after all." As far as Jay Chou's love is concerned, 70% goes to his mother. And he would like his girlfriend/wife to feel the same and just leave 30% for him. He gives all his earnings to his mother. He named his album after her. He used photographs of her in his MV for the very meaningful song which he wrote for her. My feelings for him run very deeply and it is difficult to express all that I want to say as he has been with me through some of my most difficult times. His songs remind me of many people in my life. It makes my heart ache when I hear criticisms about his present work as he is still only following his heart and working as hard as ever. So please do not put him down. If only you listen to him carefully, you'll see that he is really worthy of admiration. 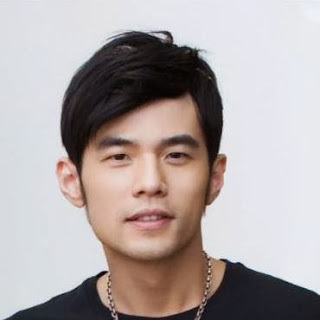 As Jay Chou grows and develops, I do not begrudge him his changes as everybody changes with time. We are no exception. We cannot be over-critical and demand that Jay Chou never change. No matter how you change, I must thank you. @fangirlforever I cannot describe how beautiful this is...it's so overwhelming, Jay is the most amazing person which makes me love the line "There are some people whom one will never be able to understand no matter how lengthy the explanation. Jay Chou is the latter."